Standard Chartered has announced plans to set up a new global business services hub in Warsaw, Poland. 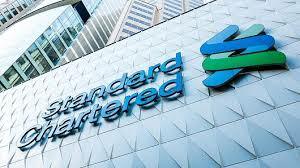 The bank will transfer its Standard Chartered Global Business Service Sp z o.o. to Warsaw that will include bank’s Global Business Services (GBS) function and joins a network of GBS centres in China, India and Malaysia. These units are involved in managing complex, large scale, cross-border activities such as technology and finance services, cyber security, and banking operations. Rowena Everson, who is currently managing director and head of business support, risk and governance of Europe, has been promoted to the role of CEO of Standard Chartered Global Business Services Sp z o.o. Standard Chartered COO of Europe and Americas Stephen Sheridan said: “We’re pleased to have submitted our application to open a new, highly skilled service centre in Poland. Standard Chartered global head of global business services Matthew Norris said: “Our investment in Poland is another important strategic step to enable access to a pool of highly skilled talent who can support our ambitions to be a digital bank with a human touch. The office is slated to start working from September this year.